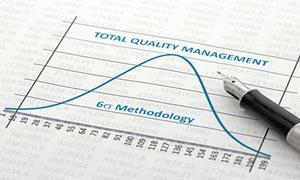 The Lean Six Sigma certification uses a set of quality management methods, including statistical methods, and creates a special infrastructure of people within the organization (e.g. “Black Belts” and “Green Belts”) who are experts in these methods. Each Lean Six Sigma project carried out within an organisation follows a defined sequence of steps and has quantified financial targets (cost reduction or profit increase). Yellow Belts are trained in the basics of Lean Six Sigma, and can typically carry out performance improvements within their teams. Green Belt professionals are trained and certified at a more advanced level, in the tools and approach of Lean Six Sigma. They tackle change within their business in addition to their other responsibilities. A Black Belt is fluent in the use of the Lean Six Sigma approach and tools, often delivers major performance or efficiency transformation for a business. Typically, they are Change Leaders within the business. This certification course will prepare you to successfully lead and execute Lean Six Sigma projects, perform Six Sigma analysis, and use the Define, Measure, Analyse, Improve and Control methodology. It is comprised of professionally narrated e-Learning modules, interactive quizzes, tests and exams. All delivered through a system that you will have access to 24 hours a day, 7 days a week in 12 Months (36 days). This online programme is well designed that make you feel same as you are in the classroom. Training course includes well designed video tutorials, mentor support service, reading and study materials, online study platform, and forum. These facilities build your confidence to study well and guide you to develop your skills and knowledge to get preparation for the Six Sigma Yellow, Green and Black Belt Exams. Lean Six Sigma Yellow Belt Training course is recommended for all those in an organisation who want to get an overview of the concepts, tools and methodologies of Lean and Six Sigma. Lean Six Sigma Green Belt training is appropriate for a wide range of positions including managers, consultants, change agents, project managers, team leaders, facilitators, team members, and anyone involved in Lean Six Sigma projects. In order to become IASSC Yellow, Green or Black Belt certified, it is not necessary to be certified beforehand, or have prior industry experience, or complete and submit projects as part of the Six Sigma certification assessment. There are no prerequisites required in order to sit for the IASSC Certified Lean Six Exams. The exam syllabus is based on the IASSC Universally Accepted Lean Six Sigma Body of Knowledge (ILSSBOK), developed as a result of research conducted over a two-year period, among 1000 companies. Upon successful achievement, Professionals will receive Certificates (IASSC Certified Yellow Belt (ICYB), Green Belt (ICGB) and Black Belt (ICBB), suitable for framing, issued by the International Association for Six Sigma Certification or its designated Examination Institute, PEOPLECERT. This online Lean Six Sigma Course Bundle has been designed for 80 guided learning hours. After you have familiarised yourself with the Six Sigma terminology, having a good understanding of 5 phases, successfully passed any mock exam you should be ready to take the real exam. In order to achieve the professional designation of IASSC Certified Yellow Belt (ICYB) from the International Association for Six Sigma Certification candidates must sit for the IASSC Certified Lean Six Sigma Yellow Belt Exam and achieve a minimum score of 230 points out of a total 300 points. In order to achieve the professional designation of IASSC Certified Green Belt (ICGB) from the International Association for Six Sigma Certification candidates must sit for the IASSC Certified Lean Six Sigma Green Belt Exam and achieve a minimum score of 385 points out of a total 500 points (Candidates need a 70% score to pass the exam. Questions are marked based on a difficulty level of 1-3). In order to achieve the professional designation of IASSC Certified Black Belt (ICBB) from the International Association for Six Sigma Certification candidates must sit for the IASSC Certified Lean Six Sigma Black Belt Exam and achieve a minimum score of 580 points out of a total potential of 750 points. There is no limitation or time restriction on examination retakes. Need to pay retake exam fee separately each retake. Type of Exam: Proctored exam based. The sole objective of the exams is to measure knowledge not work or project experience. All exams are available in English. IASSC Certified Six Sigma exams are also available in French. All IASSC exams are closed book exams. IASSC provides a Reference Document, that contains all formulas and tables one will need during the examination. For those who wish to sit for the exam, it is recommended, but not required, that Lean Six Sigma training is obtained through a qualified institution, Lean Six Sigma trainer or corporate program. It is also recommended, although not required, that those sitting for the exam have some degree of real-world Lean Six Sigma work experience and project application experience. Additionally, you have to pay £955 exam fee before take your IASSC Lean Six Sigma all 3 Official exams. When you are ready to book your exams, you will be able to pay this exam fee via your online learning portal. Demonstrate your commitment to on going education and professional standards. Promote best practice in your field. Fill out your details to find out more about IASSC Lean Six Sigma Bundle – Yellow, Green & Black Belt + All 3 Official Exams.